There is currently no unified code of conduct for digital crowdsourcing efforts in the development, humanitarian or human rights space. As such, we propose the following principles (displayed below) as a way to catalyze a conversation on these issues and to improve and/or expand this Code of Conduct as appropriate. This initial draft was put together by Kate Chapman, Brooke Simons and myself. The link above points to this open, editable Google Doc. So please feel free to contribute your thoughts by inserting comments where appropriate. Thank you. Provide clear volunteer guidelines on how to participate in the project so that volunteers are able to contribute meaningfully. Test their crowdsourcing platform prior to any project or pilot to ensure that the system will not crash due to obvious bugs. Disclose the purpose of the project, exactly which entities will be using and/or have access to the resulting data, to what end exactly, over what period of time and what the expected impact of the project is likely to be. Disclose whether volunteer contributions to the project will or may be used as training data in subsequent machine learning research. Not ask volunteers to carry out any illegal tasks. Explain any risks (direct and indirect) that may come with volunteer participation in a given project. To this end, carry out a risk assessment and produce corresponding risk mitigation strategies. Clearly communicate if the results of volunteer tasks will or are likely to be sold to partners/clients. Limit the level of duplication required (for data quality assurance) to a reasonable number based on previous research and experience. 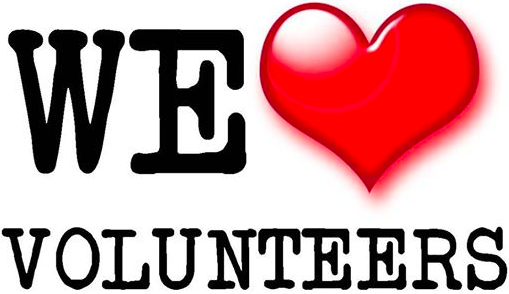 In sum, do not waste volunteers’ time and do not offer tasks that are not meaningful. When all tasks have been carried, inform volunteers accordingly. Be fully transparent on the results of the project even if the results are poor or unusable. Only launch a full-scale crowdsourcing project if they are not able to analyze the results and deliver the findings within a timeframe that provides added value to end-users of the data. Share as much of the resulting data with volunteers as possible without violating data privacy or the principle of Do No Harm. Enable volunteers to opt out of having their tasks contribute to subsequent machine learning research. Provide digital volunteers with the option of having their contributions withheld from subsequent machine learning studies. Assess how many digital volunteers are likely to be needed for a project and recruit appropriately. Using additional volunteers just because they are available is not appropriate. Should recruitment nevertheless exceed need, adjust project to inform volunteers as soon as their inputs are no longer needed, and possibly give them options for redirecting their efforts. Explain that the same crowdsourcing task (microtask) may/will be given to multiple digital volunteers for data control purposes. This often reassures volunteers who initially lack confidence when contributing to a project. This entry was posted in Crowdsourcing and tagged Code, Conduct, Ethics, Volunteers. Bookmark the permalink.